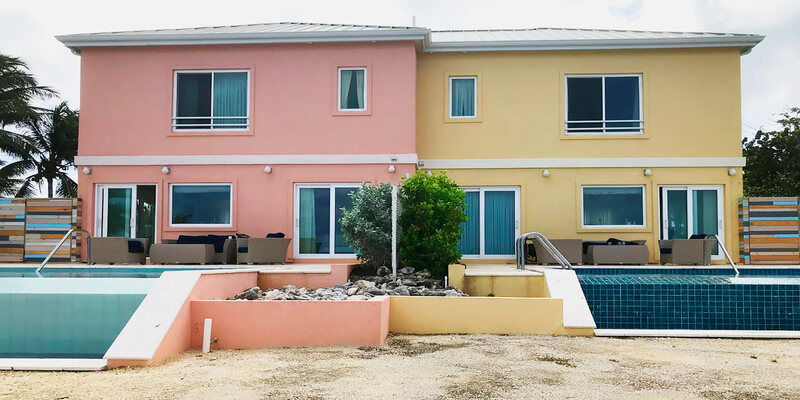 Coral Cottages Pink & Yellow consists of two brand new villas, full of Cayman character, nestled together right on the oceanfront in Old Man Bay. 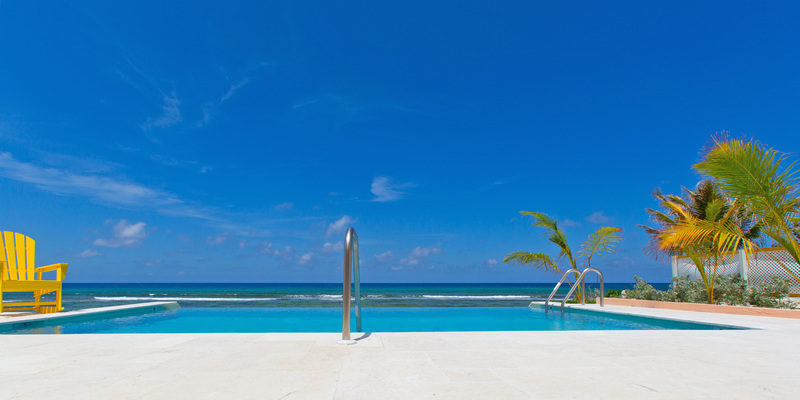 Each villa has a private oceanfront infinity pool and tranquil garden patio. The vistas across the oceanfront and into the gardens are spectacularly framed, with the large windows and sliding doors highlighting the surrounding landscape. 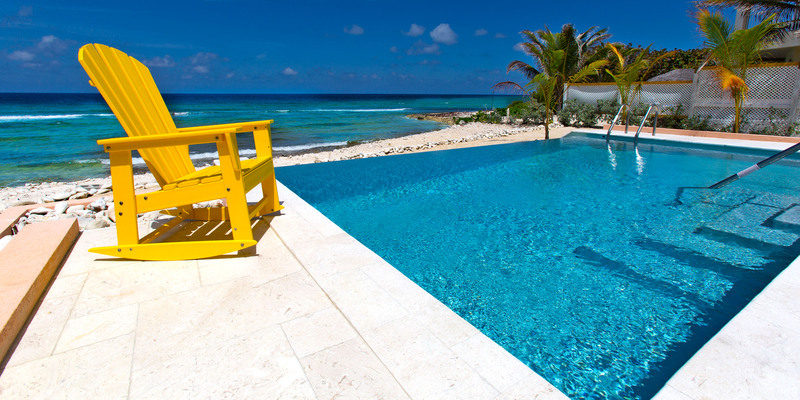 From directly in front of the cottages, guests can shore dive (SCUBA) out to the reef wall where buoys mark two breathtaking wall dives. Just a couple of flipper strokes away is a splendid snorkeling rock, for the less adventurous. On land, tours of the spectacular Crystal Caves and fascinating Davinoff's Concrete Sculpture Garden are just a leisurely stroll away. The cottages provide a wonderful haven within a quiet rural neighborhood with its pool size and convenient location being key attractions. 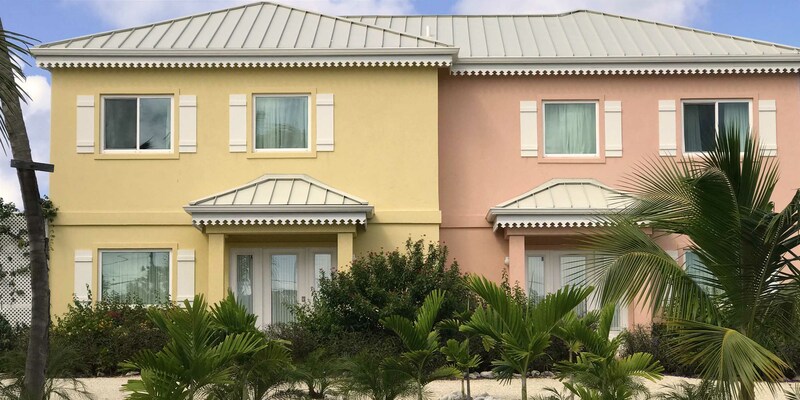 The exclusive appeal of these homes, though, is the opportunity for larger groups of families, or friends, to vacation side-by-side yet maintain some secluded privacy under separate roofs. We often welcome groups of friends and multi-generational families who appreciate this unique arrangement. Alternatively, either cottage can be rented out separately as 3 bedroom, 3 bath villas. 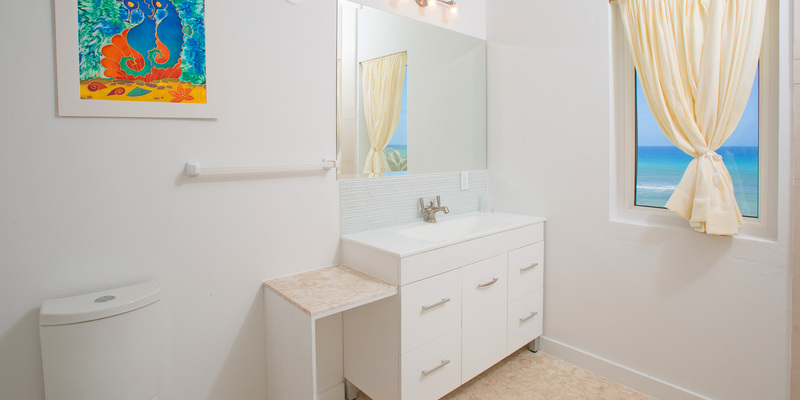 Each cottage has delightfully decorated interiors welcoming you in true island style. 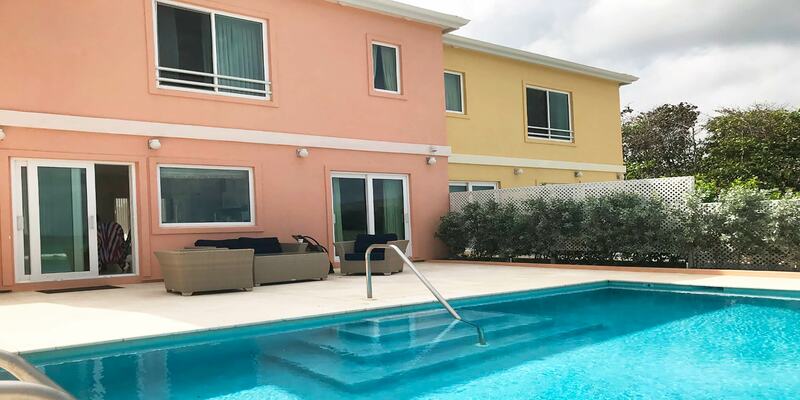 Living and kitchen areas are flooded with sunlight and open to the pools and charming garden patios. 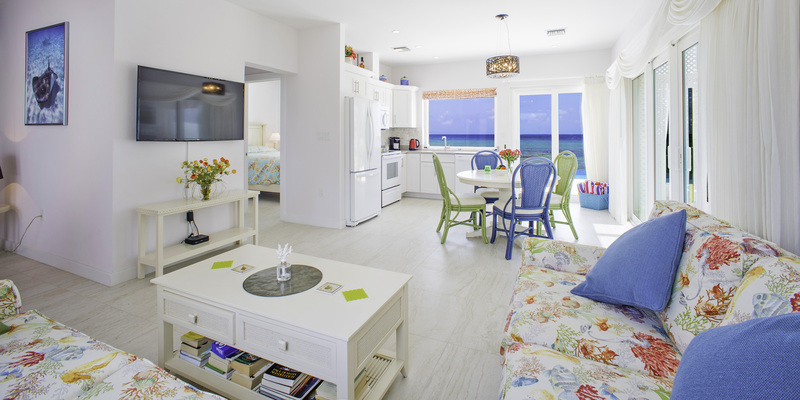 Both living areas furnished with comfortable lounge seating, flat screen TVs, and dining for 6. 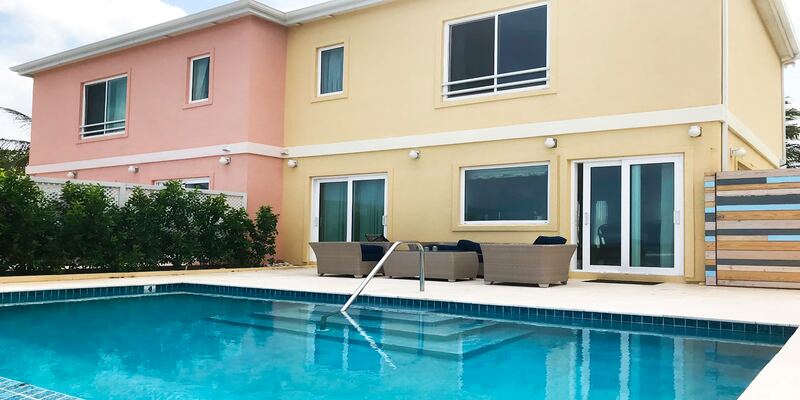 2 queen suites on the main floor with sliding glass doors to pool decks. 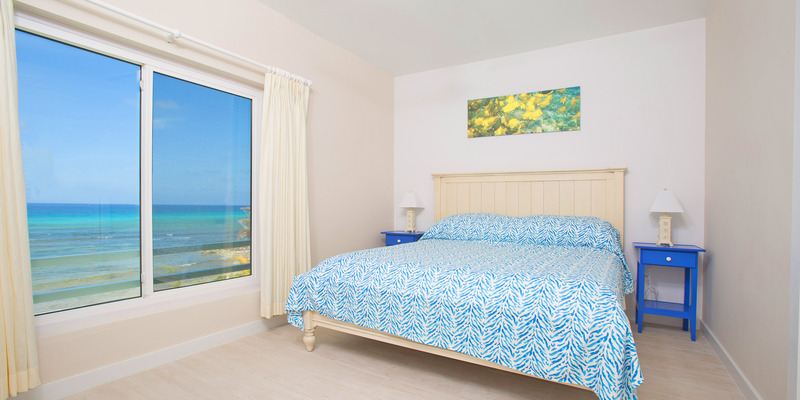 2 oceanfront king suites and 2 land-side queen suites on upper floor. 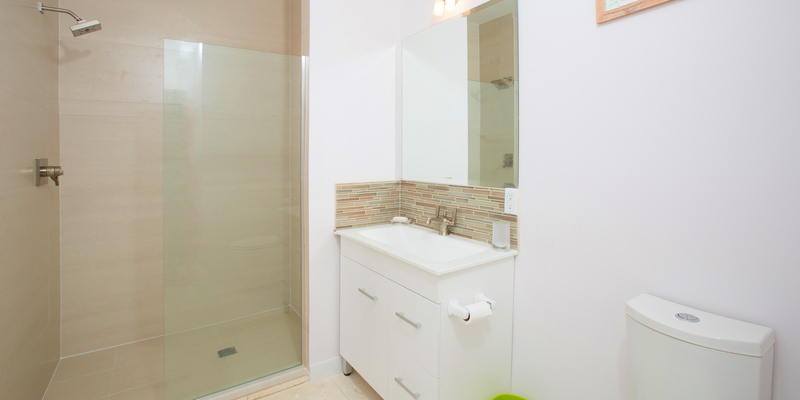 Modern bathroom fixtures, quartz counters, tiled and glass walk-in showers. Cookware, dishes, cutlery, and Keurig coffeemakers all provided. 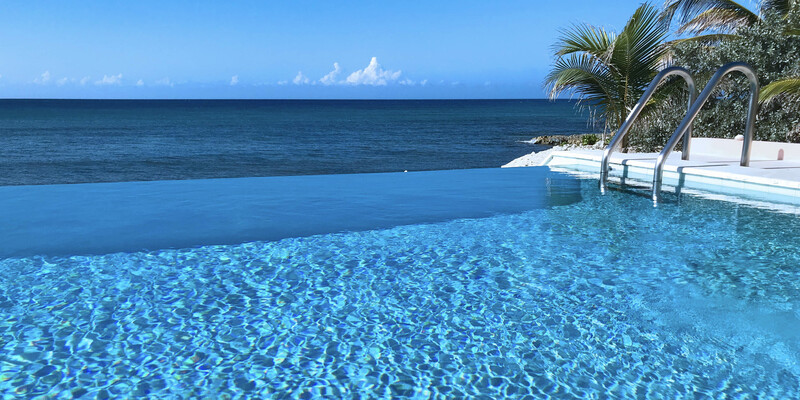 2 oceanfront infinity pools! 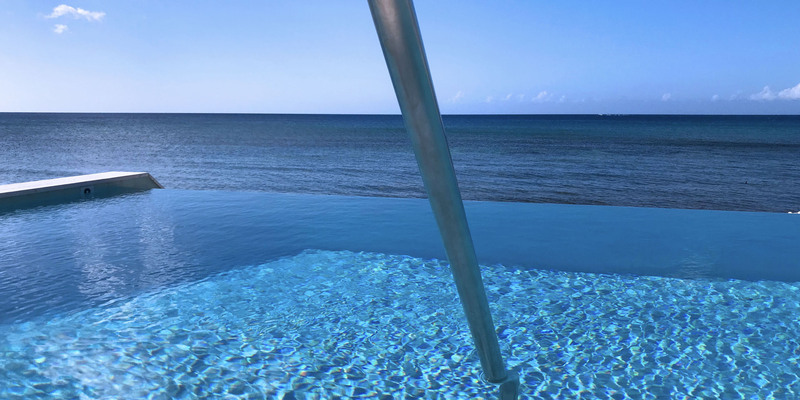 Swim or lounge on the pool deck while soaking in the views. 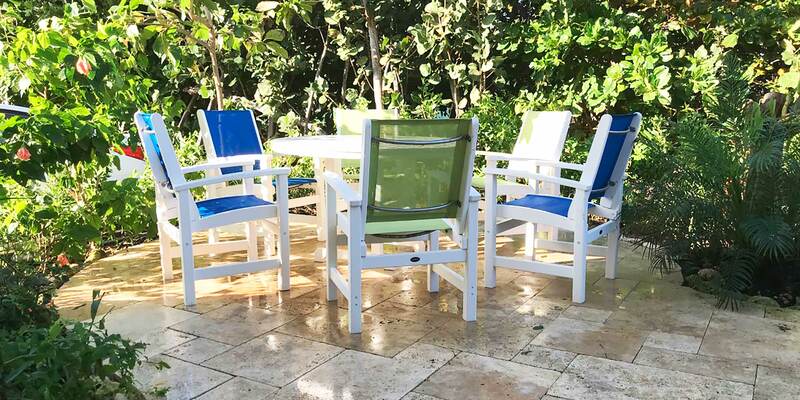 2 garden patios for al fresco dining - each includes dining for 6 and two rocking chairs. Only 10 minutes from two large resorts with water sports, restaurants, bars, grocery, and shopping in East End. Private entrances and separate driveways from sister cottage next door. 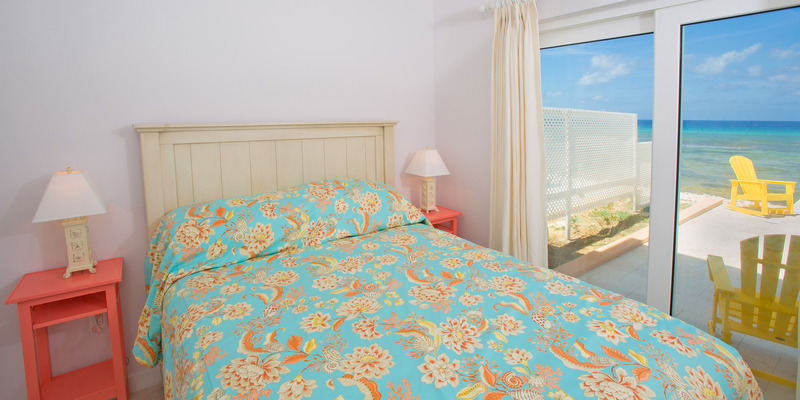 Ideal for large families or groups of friends wanting to vacation together! 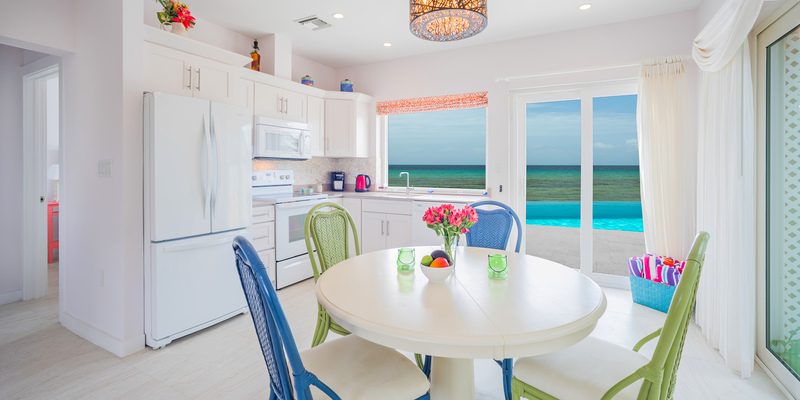 Take advantage of this unique layout and rent both cottages togeter! 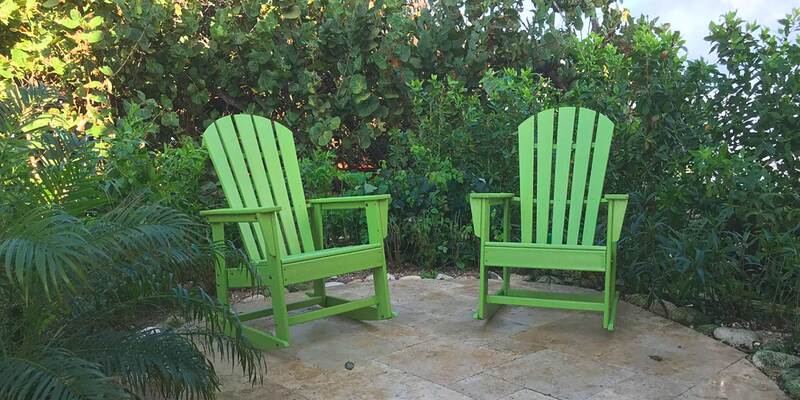 Vacation next door to your family or friends while retaining the privacy of your own home. Fantastic place! It was just ideal for our large family to stay at. We had 11 people staying in both cottages, and we had a lot of room. The cottages are super modern, and seem brand new. The kids AND adults loved the infinity pools, and the view is spectacular. Another great part about this location is that this is an extremely quiet area - super relaxing! The location is very close to Bodden Town and the East End, and it is easy to run out and get supplies or visit the sites. Rum Point is not to be missed! We enjoyed Rum Point far more than 7 Mile Beach, and Rum Point is only a few short minutes away. There are many nearby dining locations that we enjoyed: Over The Edge, Kurt\'s Korner, and more. 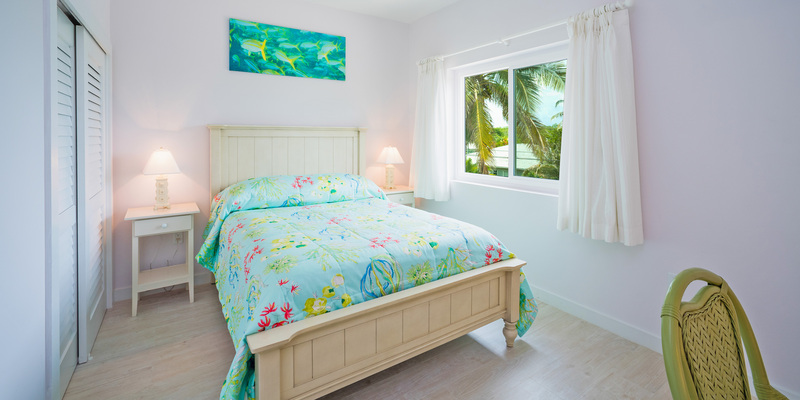 We don\'t have a single complaint about our stay at Coral Cottages...it is just PERFECT! Had an amazing time staying here! 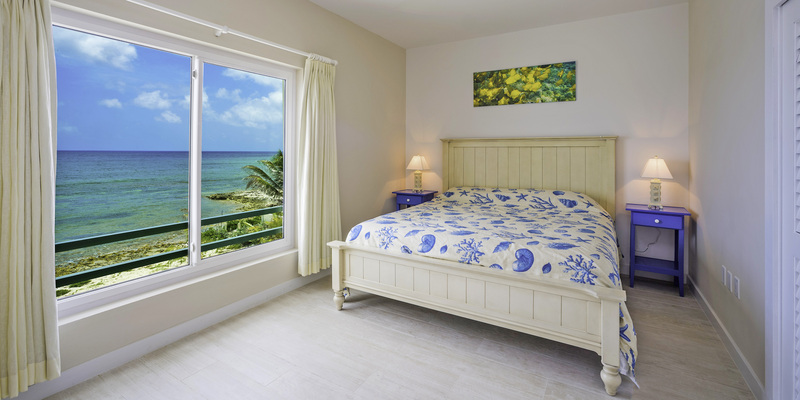 Comfiest beds, with fabulous views and spacious living area with a lovely outdoor garden. Definitely located in the best part of the island too. Could not recommend it highly enough!! Nice house but a bit short on amenities. Very comfy mattress in master bedroom. Kitchen could use a few things i e serving bowl, platter. Chairs.